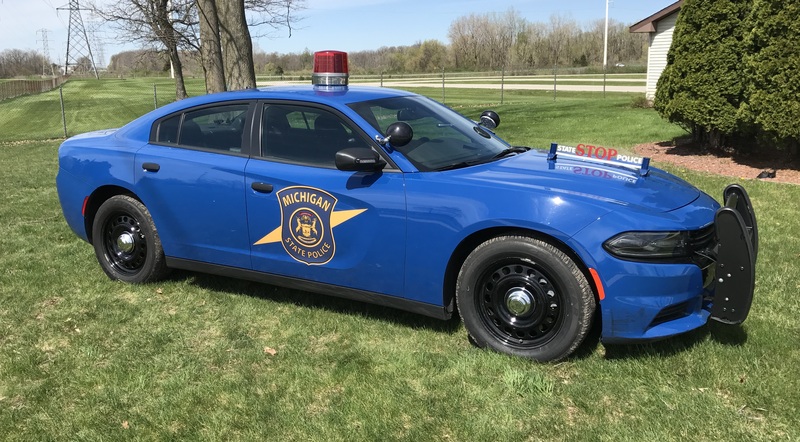 The Michigan State Police paid seven troopers more than $400,000 each to delay taking early retirement and a lifetime pension. Another 36 officers were paid more than $300,000 each to not take advantage of an early retirement privilege. The current system grants state police officers a full pension after 25 years in law enforcement, even if they are under age 50. Those findings are from a Freedom of Information Act request. 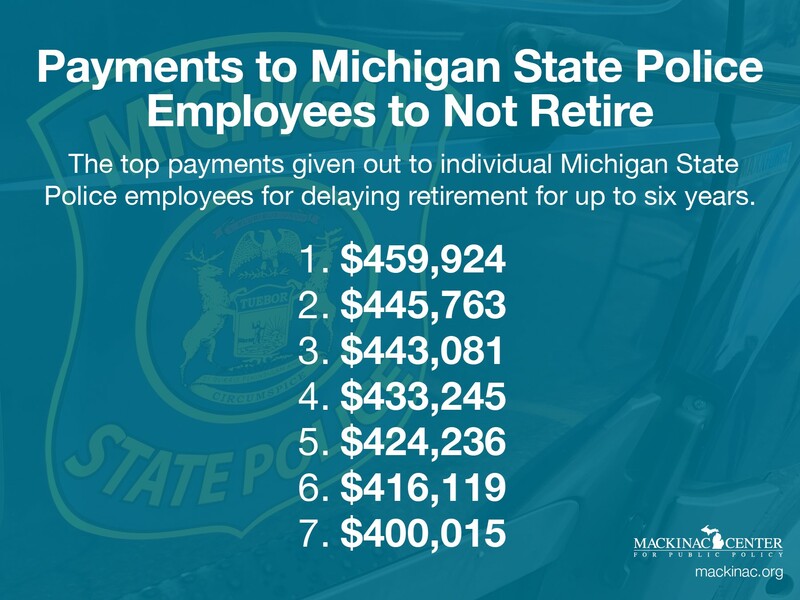 The records covered 177 Michigan State Police employees who were paid not to retire between 2012 and 2017. On average, the officers were granted around $164,000 in pension benefits while simultaneously collecting a regular paycheck. The actual collection of their early benefits is deferred and eventually delivered in one or more lump sum payments. Sen. Rick Jones, Republican from Grand Ledge and former Eaton County sheriff, questioned the idea of this program, which is called the Deferred Retirement Option Plan (DROP). But according to James Hohman, director of fiscal policy at the Mackinac Center for Public Policy, “There are real costs to this perk.” The DROP program is responsible for adding $85 million in unfunded pension liabilities, according to state civil service and actuary reports. This legalized version of pension double-dipping was authorized by a unanimous vote of both the Michigan House and Senate in 2004. It came about because previous legislatures had placed no minimum age on full retirement, meaning that officers could retire at a relatively young age as long as they had 25 years of service. Many do just that, going on to start a second career while also collecting monthly state pension benefits. Replacing these officers requires the department to organize costly “trooper schools,” and in the depths of Michigan’s “one state recession” of the early 2000s, money was tight. In consequence, the number of active troopers dropped from about 1,340 in 2001 to 1,080 in 2004. But rather than addressing the source of the problem – letting state police officers stop working and collect a pension at such a young age – lawmakers instead created the DROP scheme. The documents obtained by Michigan Capitol Confidential cover 177 Michigan State Police officers, but another 594 who were hired before June 1, 2012, are also eligible for DROP money. There are currently 1,844 uniformed state police officers. An officer can accumulate DROP benefits for up to six years, and their value increases retroactively over that time. After six years, it’s as if an individual has been collecting a full pension for the entire period in addition to his or her regular salary, overtime and other benefits.